Hello, I’m Audrey from the Netherlands. I’m a mom of 3 boys and I’m married. I started my own blog on July 2007 and I’m enjoying it every minute of the day. Such fun! Here is mine. Here is my arch. TFL. My Gothic Arches is on my blog! Fun challenge – I enjoyed digging through my stuff to find the exact chairs I was looking for! 🙂 Thanks for looking. My “Chair” is on my blog. My link doesn’t work either, or is it because I promoted my new challengeblog? Click on my name to see my arch. Thanks so much! merci à toutes pour vos visites ! My Chair gothic arch-thank you! An unusual but wonderful theme, thank you for choosing it, Audrey! Here’s mine for this week. Fun theme!!! Fantastic idea for a theme. My entry for this weeks theme. Such a fun challenge, thank you Audrey!!! 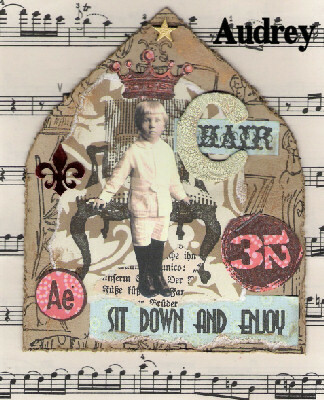 Here is my version of chairs – I enjoyed the theme very much. Here is my chair for this week. Pull up a chair and take a look and thanks. What great eye candy everyone! I’ve really enjoyed seeing everyone’s take on this week’s theme, thank you for sharing!